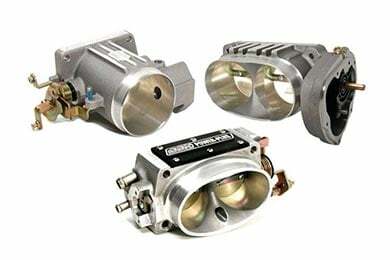 Read 106 customer reviews about Throttle Bodies that have an average rating of 4.5 to find out what product is best for your vehicle. I installed a BBK Power-Plus Throttle Body and Jet Power-Flow TBI Spacer on my 2005 F150 5.4l. Good job with order by Autoanything. Improved low end response slightly. Couldn't tell any difference with gas mileage. Slight hiss from spacer at low rpm when engine is cold. Reference # 754-684-271 © 2000-2019 AutoAnything, Inc.